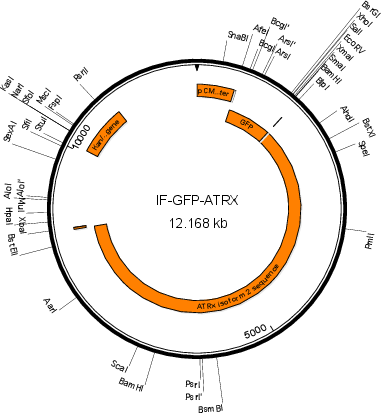 As ATRX is prone to insertion by IS10, you should sequence exon 8 and the entire sequence on occasion but especially after culturing in E. coli. A good primer for sequencing is GCCAACATGAACTCCAGTTATG. It was made from a combination of ATRX sequence cloned by David Picketts and a short sequence engineered by Genscript. 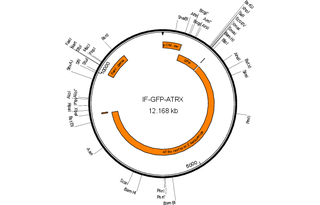 The EcoRI restriction pattern is different between the plasmid described in the paper and the plasmid available from Addgene. This difference does not effect the function of the plasmid.